Are you considering studying abroad but worried you will lose touch with the people you care about most? With a bit of planning and the help of technology, it’s easier than ever to stay-up-to-date and nurture your relationships back home. 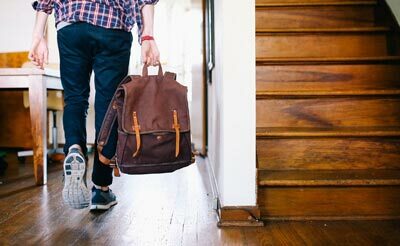 Here are five tried-and-true tips that writers from educations.com have used to stay in touch with their loved ones while studying abroad. It’s easy to have a full academic and social calendar when you study abroad, but regularly setting aside time to Skype or Whatsapp your family and best friends is a great way of keeping up your relationships while you’re away. If you’re in a different time-zone, weekends are usually the most convenient for everyone. Communicating with family and friends while you’re studying abroad in a different time zone presents a few extra challenges. You’ll either wake up to messages from well-meaning family members or risk disturbing their sleep. One strategy to internalize the time difference is to keep one of your electronic devices, such as a laptop or tablet, on your home city’s time zone until you adjust. If you find that too confusing, try getting in the habit of checking world time zones on your mobile’s clock. This will be useful in the future as you stay in touch with your study abroad friends from around the world. We know, snail mail seems so last century. But, don’t you get a little excited when you get a hand-written note from someone you miss? It feels extra-special and postcards are an opportunity to share a little memento of your experiences. Postcards from national parks, museums, and old towns and cities with a few lines from you about a funny experience or little discovery will make your loved ones feel like they’re exploring with you. Your family and friends back home will be your travel blog’s most dedicated readers as they watch you explore a new country, make lifelong friends, and maybe live a bit vicariously through all of the delicious foods and exotic scenery. 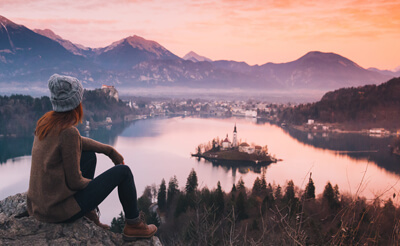 Many students start travel blogs while they study abroad but few keep them through the entirety of their studies as they quickly become too busy to update their blogs. Getting grandma to sign up for Facebook, and dad to make an Instagram account can be a great way of making sure everyone’s included even when you’re short on time. It’s easy (and healthy) to have such a great time studying abroad that you forget to make plans with your loved ones back home. If you’re studying abroad for an extended period, you can make plans to visit home, invite your friends and family to your new country for a visit, or discover a new country together. As you near the end of a semester, year, or longer, remember to plan homecoming celebrations with your nearest and dearest to catch up. Are you thinking about studying abroad but not sure which location would suit you best? Take our quiz to help find your perfect study abroad destination.